"Lightweight and natural looking, the stretchy Wooly Hoodie is an ideal four season first layer, maximizing the benefits of wool and synthetic fibers. The Wooly Hoodie is soft on the skin, ultra breathable, and lightweight, making it an ideal first layer for four seasons of outdoor endeavors, or jacket in the warmer months. Made with Italian TechnoWool blend, 40% virgin wool and 60%PES, the moisture wicking poly mesh lines the inside for next to skin comfort, while the wool outer fights odor. 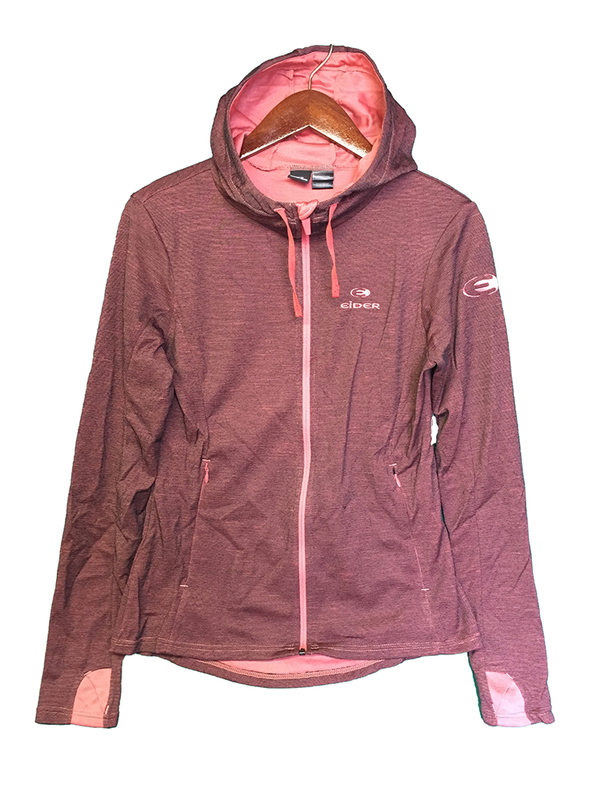 Its subtle heather like texture and muted colorways give it a unique look, and the athletic cut and two-way stretch allow the jacket to move with you. Thumb hole at sleeve cuff"